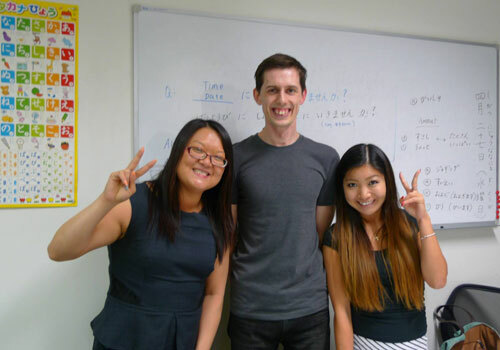 Our Japanese language school in Melbourne offers lessons for beginners through to advanced levels. Led by native speakers, they are completed over a 8-week term and available privately or in small groups. All of our Japanese lessons for beginners and advanced speakers are grounded in cultural understanding; we want our students to come away not just with better language skills, but with an appreciation for the culture of Japan. General language skills – Learn the skills you need to understand and communicate in Language course options include private, semi-private and group lessons. VCE tuition – Get all the support you need to walk into your exams with confidence. Includes preparation for written, aural and oral exams. JLPT – We fully prepare you for the Japanese Language Proficiency Test – an important credential if you are planning to study or work in Japan. Travel survival – Learn the words, phrases and skills you’ll need to communicate with the locals and get the most out of your trip. Business – We’ll help you with the language skills and cultural knowledge you’ll need to deal with clients and colleagues in Lessons for beginners in Melbourne start at just $25 per hour. For more information on courses or timetabling, please don’t hesitate to contact our Japanese language school on 0401 886 629.